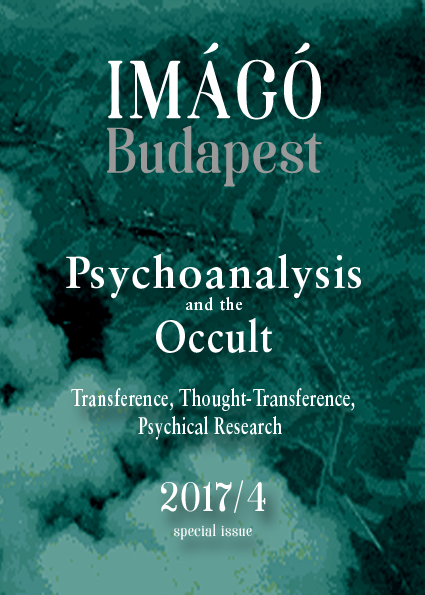 Une reprise en anglais de l’article sur "La signification occulte des rêves"est paru en 2017 dans le Bulletin de psychologie vient de paraître en anglais dans Imágó Budapest. Tout le numéro est accessible gratuitement en ligne ici. Sigmund Freud constantly attempted to distinguish psychoanalysis from occultism by explaining allegedly paranormal phenomena (such as so-called prophetic dreams) as the results of unconscious processes. His attitude towards the paranormal, however, evolved according to his increasing interest in the possibility of thought transference. In 1925, he reproduced Gilbert Murray’s experiments associating telepathy and free associations. Then, he became convinced of the reality of thought transference and shared his conviction in “The Occult Significance of Dreams.” Yet, Ernest Jones, his biographer and then president of the International Psychoanalytic Association, was reluctant to associate psychoanalysis with psychical research and therefore worked to marginalize Freud’s interest. This article aims to retrace the context of this rarely discussed text and the experiments that preceded it in order to reexamine their role in ulterior definitions of the Freudian legacy and the association of psychoanalysis with experimental research on telepathic dreams. Key-words : psychoanalysis, telepathy, occultism, thought transference, psychical research. Evrard, R., Massicotte, C., Rabeyron, T. (2017). Freud as a psychical researcher : The impossible Freudian legacy. Imágó Budapest, 6(4), 9-32.